Thank You Buckeye Youth Football Community!!! 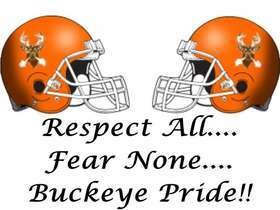 The Buckeye Youth Football Association would like to thank the entire Buckeye community for a great 2018 season! Without the support of the many Buckeye football and cheer families the success of our youth would not be possible! 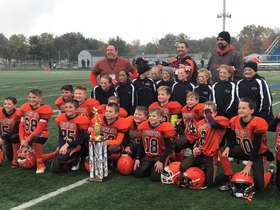 Congratulations to our Bucks Orange Varsity and Bucks Brown Varsity teams 2018 undefeated championship seasons! Truly a great accomplishment and a product of an entire season of hard work and dedication from the players, coaches and families. More congratulations to the Bucks Orange JV team's championship season! 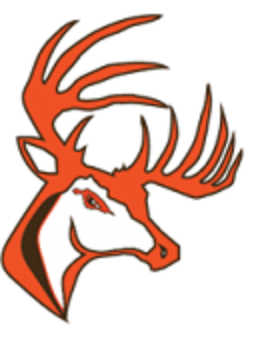 The Bucks Brown JV also had a great season only losing to the Bucks Orange JV team in overtime in the playoff semi-finals, while beating a previously undefeated team in the first round. Congratulations to Bucks Orange Varsity on their 2018 Undefeated Championship Season!! The LEFYL Varsity Gray Division Championship game vs North Ridgevile White was won 38-8 on October, 27 2018 at Midview High School. Congratulations to Bucks Brown Varsity on their 2018 Undefeated Championship Season!! The LEFYL Varsity Green Division Championship game vs Midview Blue was won on October, 27 2018 at Midview High School. Congratulations to Bucks Orange JV on their 2018 Championship Season!! The LEFYL JV White Division Championship game vs Keystone JV was won on October, 27 2018 at Midview High School. 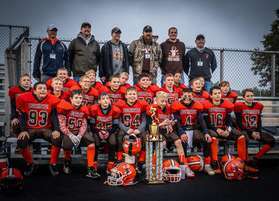 The Buckeye Youth Football Association, Inc. is committed to providing a quality program for the children of the Buckeye School District in which they can learn the fundamentals of football and cheerleading, along with sportsmanship and having fun, in an effort to further the development of the overall Buckeye Football program. We are a non-profit 501c3 organization as designated by the IRS and the State of Ohio. Buckeye Youth Football Association renewed their partnership with USA Football and the NFL in their 'Heads Up' Program begining with the 2015 Season. The Heads Up program is four pronged in its delivery of these major items Education & Certification, Concussion Awareness, Equipment Fitting and Heads Up Tackling. 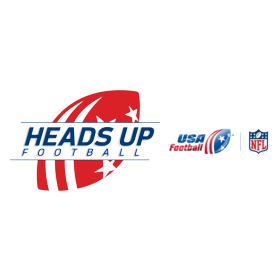 You can go on the USA Football site and get familiar with the 'Heads Up' program by clicking on the link. We require that all of our Football & Cheer Coaches have Concussion Awarness training as is now mandated by the State of Ohio. This certification is good for 3 years and we must provide proof of certification to Lake Erie Youth Football League prior to the season. All of our Football Coaches must become members of USA Football and complete the basic training course for Flag or Tackle Football and continue to renew that membership and update the Flag or Tackle certificate as required by USA Football each year they coach for BYFA. Beginning with the 2015 Season USA Football will be giving organizations a $500.00 Cash Grant to any organization that has 100% of their coaches as members and certified. All Coaches must be background checked a practice we have been doing since the 2010 season through the National Center of Safety Initiatives who are another partner of USA Football. Background checks are also mandatory for our Team Moms. We also are making sure that the coaches receive instruction on how to properly fit helmets and shoulder pads. You can click on the link for a video of helmet fitting, shoulder pad fitting and how helmets are reconditioned at Riddell here. 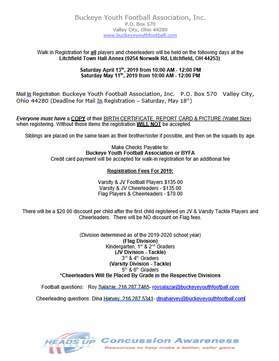 Buckeye Youth Football has a twitter account in addition to this website and their Facebook page. You can follow us on twitter @BYFAinc or find us at www.twitter.com/BYFAinc. The tweets are posted to the Facebook page when they are tweeted. 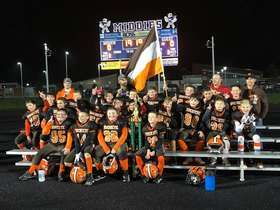 Our FB page is www.facebook.com/buckeyeyouthfootball. That page is also up dated with selected posts from our website that appear there when they are posted here. You can visit the page by clicking on "Facebook" in the menu above. Stay in touch with all the information pertaining to BYFA by following us at home or on your mobile device! Go Bucks! !